We’re in the midst of cold season, and parents are no doubt doing their best to keep their children from coming down with the sniffles. But University of Michigan researchers say some of the methods they use, based on long-held and persistent beliefs, aren’t really helping. The team conducted a poll and found that about half of the parents they surveyed believe fortifying their children’s diet with vitamin C will ward off a cold. However, there’s no evidence to support that. The survey found parents also believe going outside with wet hair will lead to a cold, or that staying inside will reduce your risk of getting sick. But the researchers say there is little or no evidence that supports this either. Just over half of parents in the survey said they have given their child an over-the-counter vitamin or supplement to prevent colds, even though there is no evidence that they work. An even larger percentage of parents said they believe they can protect their child from catching a cold by following non-evidence-based “folklore” advice, such as preventing children from going outside with wet hair or encouraging them to spend more time indoors. The researchers say they were gratified to learn that almost all parents -- 99 percent -- encourage good personal hygiene by their children as a way to avoid colds, a proven method. Parents say they tell their children to wash their hands frequently, not share drinks or utensils with others, and to keep their hands away from their mouths. 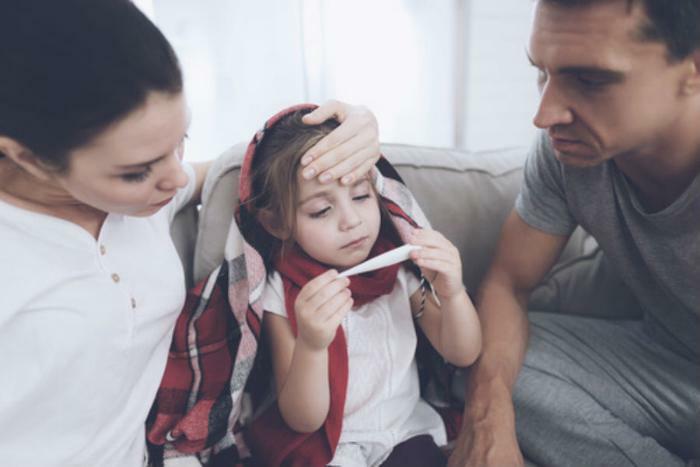 “The positive news is that the majority of parents do follow evidence-based recommendations to avoid catching or spreading the common cold and other illnesses,” said Dr. Gary Freed, co-director of the poll and a pediatrician at Mott Children’s Hospital. However, Freed expressed dismay that so marny parents are also using supplements and vitamins not proven to be effective in preventing colds and that are not regulated by the U.S. Food and Drug Administration (FDA). The common cold, a scourge because it has no cure, is caused by viruses that spread from person to person. The most frequent way people get colds is by ingesting tiny mucous droplets from the nose or mouth that become airborne. Researchers say the best way to avoid a cold is avoiding direct contact with someone who has one. They encourage consumers to wash their hands after touching public surfaces, such as door handles, faucets, and countertops.